Druids are coming directly from Finland, bringing with them songs from the invisible side of the Earth that aim at reuniting the old bonds between the dolmen gods and digitised mankind. Hailing from the Finnish capital Helsinki, here comes a band that transcended their own influences to create their own unique sound, inspired by artists as diverse as Enslaved, Led Zeppelin, Jethro Tull, Tangerine Dream and Iron Maiden. 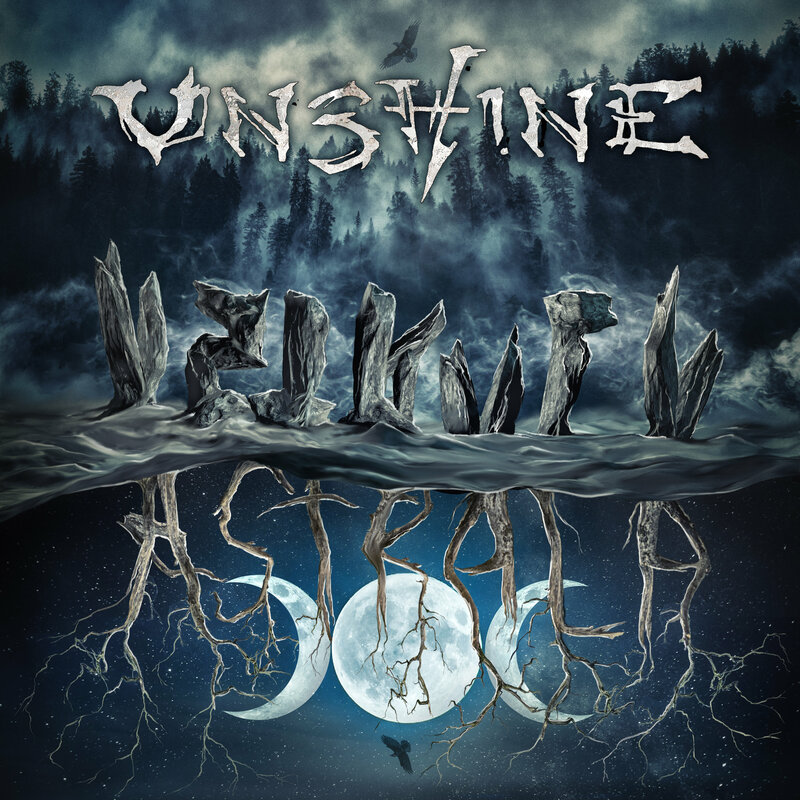 That band is called Unshine, who since their inception in 2001 have been delivering a distinct fusion of styles described by themselves as “Druid Metal”. As a matter of fact, Mother Nature is the true influence on Unshine’s music, as all five members of Unshine, friends for many years, were all raised in the countryside villages of Western Finland. “The songs try to reunite the old bonds between the dolmen gods and digitised mankind. Nature is not our enemy, it’s our physical and especially spiritual home”, said the band’s guitarist, keyboardist and mastermind Harri Hautala. With a long history of recording and playing behind them, Unshine are beyond excited with the release of their new full-length album Astrala, the fourth in their auspicious career, inspired by the “invisible side of the Earth”, as mentioned by Harri, who also complemented his though by saying that “the first five album songs address the manifestations of Astrala and the last five songs describe travels to Astrala. The album has a touch of Nordic melancholy written all over it, also in the lyrics, and it includes music meant to create landscapes and themes from folk stories, mythology and nature religions, but also to present personal views describing the spiritual meaning of a forest as a cultural concept. The binding theme here is forest, although this is not a theme album.” After such distinct explanation, are you ready to venture through the invisible side of the Earth with Unshine? Birch of Fornjotr is one of those cinematic intros exhaling epicness, telling the listener a metallic adventure is about to begin in Kainuun Kuningas (or “king of Kainuu” from Finnish, with Kainuu being one of the 19 regions of Finland with its geography and landscape consisting of lakes, hills and vast uninhabited forest areas), a Scandinavian feast of Folk and Epic Metal led by the charming and potent vocals by frontwoman Susanna Vesilahti, with the song’s Finnish words giving it an extra touch of eccentricity. Furthermore, the band’s guitar tag team Harri and Jari Hautala provides a solid balance between rhythmic riffs and melodious solos to the overall musicality, which is also the case in Jack’s Feast, as melodic as its predecessor with drummer Jukka Hantula bringing heavier and tribal sounds to the music. The only problem is that despite having a lot of potential to be more thunderous, the song never really takes off, remaining too “folky” and for way too long. The following tune, titled The Masks of Enchantment, is indeed a very interesting depiction of Druid Metal, with some orchestral elements in the background provided by Harri and his keys enhancing the taste of this semi-power ballad, also showcasing a beautiful performance by Susanna with her ethereal voice; whereas in Pan the One get ready to prance around the fire pit to the sound of the minstrel-like vocals by Susanna, accompanied by the whimsical sounds blasted by the rest of the band (especially the exciting keys by Harri). 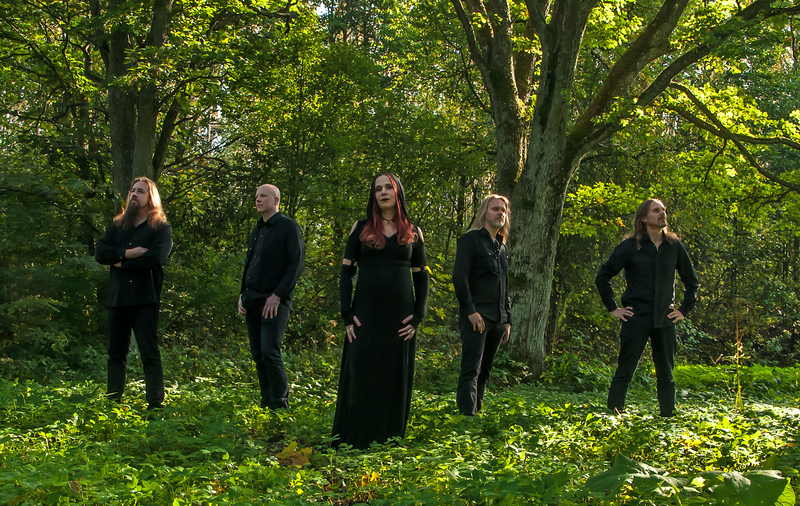 And if Irish singer Enya suddenly went full metal, the fun Druids Are A-Coming would probably be how she would sound like, being faster and more piercing than any of the previous tunes thanks to the cutting guitars by Harri and Jari, not to mention the galloping bass by Teemu Vähäkangas. Their Epic Metal vein arises once again in the mid-tempo, heavy chant Slow Moving Creatures, with its guitars inciting you to bang your head together with the band, while in Visionary’s Last Breath it’s time for Unshine to invite us all to dance to a fanciful “druid waltz”, presenting very traditional elements from Folk Metal blended with the heaviness brought forth by Jukka’s beats. Then we have the touching ballad Suo (Kantaa Ruumiit), which should translate as “swamp (carry the bodies)”, also sung in the band’s mother tongue with Susanna stealing the spotlight with her passionate vocals. Moreover, there’s a lot of dark elements in this imposing composition, making it extremely catchy and somber from start to finish. And finally we’re treated to 10 minutes of epic and ethereal passages in The Forest, where the stringed trio Harri, Jari and Teemu keep the music flowing at a pleasant pace, allowing Susanna to shine once again with her vocals amidst the song’s symphonic elements and dense atmosphere, ending the album on a climatic and melancholic note. You can take a full listen at Astrala on Spotify, follow the band on Facebook, nad purchase a copy of the album from the Rockshots Records webstore, from Record Shop X, on iTunes or on Amazon, and let your soul roam free through the forests of the invisible side of the Earth ruled by Unshine. And who knows, you might not only meet some druids during your visit to Astrala, but also decide to stay there permanently, dancing to the music by this talented Finnish squad forever and ever. Best moments of the album: Pan the One, Druids Are A-Coming and Suo (Kantaa Ruumiit). Worst moments of the album: Jack’s Feast. This entry was posted in 2018 New Releases and tagged astrala, druid metal, druids are a-coming, epic metal, finland, folk metal, harri hautala, helsinki, jari hautala, jukka hantula, kainuu, pan the one, rockshots records, suo (kantaa ruumiit), susanna vesilahti, teemu vähäkangas, unshine, visionary's last breath by Gustavo Scuderi. Bookmark the permalink.